Dr.Enker completed orthopedic residency training at McGill University and fellowship training in adult reconstruction at Sunnybrook Medical Center -University of Toronto and in upper extremity at Thomas Jefferson University Hospital in Philadelphia. 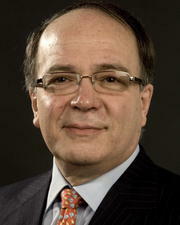 He has held the positions of clinical assistant professor at the Mount Sinai School of medicine, chief division of orthopedic surgery and co director of the total joint program at Northwell-Glen Cove hospital, and chief of the department of orthopedic surgery and director of the total joint replacement program at Queens Long Island Medical Group. Dr. Enker has lectured extensively nationally and internationally. He has published in medical journals and orthopedic surgery textbooks. Dr. Enker s practice specializes in total hip and total knee replacement for arthritis of the hip and knee unresponsive to conservative medical management. Nine years ago in pursuit of superior surgical outcomes Dr. Enker pioneered the introduction of anterior total hip replacement on Long Island. "Dr Enker is very approachable. and easy to talk to." "Dr Enker and his staff were caring. Dr Enker spent a lot of time explaining my problem to my husband and me. he was very caring and did not rush us into any decisions. he really cared about me and had a great bedside manner and I needed that"
"dr Enker is excellent dr"
"Dr. Enker is an excellent surgeon. I have had a great experience and have recommended him to several other patients. They have had good experiences." "Dr. Erlanger was my prior surgeon & recommended Dr. Enker so I was confident he would be a capable surgeon. " "As I stated, I have no compunction about recommending Dr. Enker - in fact a HS classmate recommended him to me when he heard I needed surgery. He had found him by word of mouth also!!" "1, 9 & 10. Excellent." "Dr Enker is outstanding. He does not rush through the appointment. I recommend him and his staff to everyone." "This is my second surgery with the dr. He is outstanding and I have referred family and friends who also used Dr. Enker." "Dr Enker is absolutely the best." "I was extremely impressed with Dr. Enker. He was professional, compassionate, knowledgeable. I have great confidence in his performing my upcoming surgery"
"I have confidence in Dr. Enker"
"Dr. Enker is the most professional, knowledgeable caring people I have encountered. He changed my entire life." "Dr. Enker took a cell phone call while examining me when he got back to me, he seemed distracted. I feel he should not have taken the call while he was in the middle of an exam." "I had previously gone to Dr. Enker for hip replacement surgery. This visit was made prior to hip replacement surgery on, the other side. No information or instructions were necessary regarding medications & follow-up care." "Dr. Enker spends a lot of time with patient and explains everything in simple terms with humor feel confidence with him." "everyone in the office was pleasant and professional and doing their job. They made me feel extremely comfortable"
"Dr. Enker is the best!" "Dr. Enker is by far an excellent surgeon. My total hip replacement could not have gone any better. Dr Enker is so kind, caring and knowledgeable. Not once did he make me think my questions or concerns were important. Even while he was in vacation, he called me and met me in the office to address my concerns. My recovery has been nothing more than perfect. Dr. Enker gave me my quality of life back." "This is the second time I have used Dr. Enker for a knee replacement. Would not go to anyone else." "Dr. Enker is a caring man, he takes time with you his patient, to explain things so that you understand your problem & then works with you to help/try to resolve it. He's the BEST." "My care provider is very kind, courteous,and diligent in his profession, there was no medication or follow up necessary at this time"
"Dr Enker put me at ease and explained everything thoroughly. After talking with him I was very confident about the success of my hip replacement surgery." "Dr. Enker did my hip replacement several years ago & my daughters as well - I highly recommend him to others." "Dr. Enker was a pleasure to speak with. He was extraordinarily generous with his time. He discussed everything in detail and answered all my questions thoroughly. He showed me x-rays of my implant, which I appreciate. I definitely would recommend him to others -"
"I have recommended Dr. Enker to all my friends & family. He's an excellent physician & I had great results from my hip replacement." "Dr Enker is the best"
"Been a patient of Dr. Enker since 2010. Super, knowledgeable, competent surgeon." "Doctor Ankara is an outstanding surgeon is operated on me twice both times extremely successful I told him when I saw him he has changed my life excellent doctor." "A good friend of mine has already seen Dr Enker & set up a surgical date for hip replacement!" "Dr Enker performed a total hip replacement on me last August and it was very successful!! I have recommended him to everyone!!" "Dr. Enker was great. He was honest, caring, and made sure I understood everything that was going on. I would definitely recommend Dr. Enker to others." "Dr. Enker is a exceptional surgeon... he replaced my rt./hip in June of 2006... ergo I did not hesitate to perform lf./hip replacement in July of 2017." "Dr. Enker was most personable, professional & knowledgeable." "I find Dr. Eniker to be one of the most efficient, thorough and genuinely caring doctors I have ever encountered. I never feel as if my treatment time with him is rushed. He takes time to go over every aspect of care and puts you at ease about whatever your concerns are." "I have been a patient of Dr. Enker's since 2011. He has replaced both knees. Several recommendations & referrals by me." "Dr. Enker, he operated on my left hip about 5-7 years ago. He took away my pain! I cannot praise him enough." "Dr. Enker replaced my other hip in 2011." "10. Already recommended friends, doctor, and family. " "I have already recommended Dr. Paul Enker to other patient. He always listens and always explains"
"Doctor Enker was an excellent surgeon and I already recommend him." "I have known Dr. Enker for about 20 years. I trust, admire and have complete confidence in him in all respects. There should be more people like him in this world." "If there was a higher number to check for Dr. Enker, it would be "excellent"! I have already recommended him to family and friends." "saw doctor preiviosly and am a return patient that tells you something"
"I recommend Dr Enker to anyone who will listen!!"